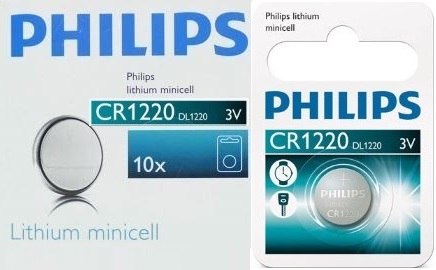 The Philips CR1220 is a 3V Lithium Minicells Battery also known as Coin Cell battery or Button Cell that is 12mm in diameter and 2.0mm thick. The CR1220 Minicell battery is your perfect power partner in your everyday life that is used for a variety of electronics such as keyless entry, heart-rate monitors, glucose monitors, toys & games and many other electronics. 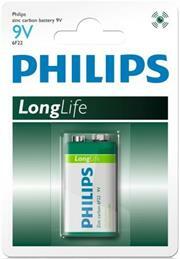 The Philips CR1220 Lithium Coin cell battery possesses remarkable features including long shelf life up to 5 years, high energy density, flat discharge voltage, wide operating temperature and excellent storability with low self-discharge rate. 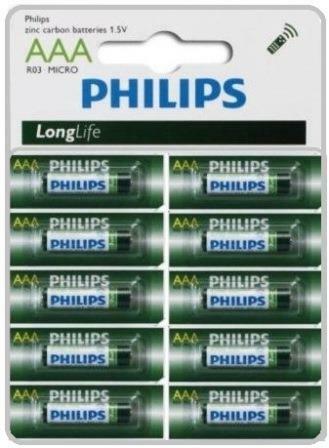 The Philips CR1616 is a 3V Lithium Minicell Battery also known as Coin Cell battery or Button Cell (50mAh) is 16mm in Diameter and 1.6mm thick . The Philips CR1616 is your perfect power partner in your everyday life that is used for a variety of electronics such as watches , calculators, cameras , car equipment; FA Instruments; Electronic Thermometers; IC Cards/Tags, Remote Controls , Portable Games and many other electronics. 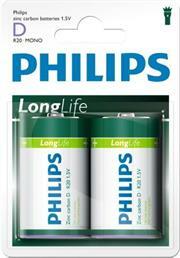 This battery can operate in temperatures between -20 and +70. 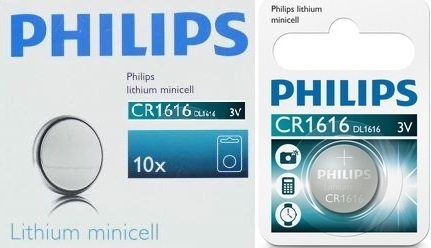 The Philips CR1616 Lithium Coin cell battery possesses remarkable features including long shelf life of up to 10 years, high energy density, flat discharge voltage, wide operating temperature and excellent storability with low self-discharge rate. 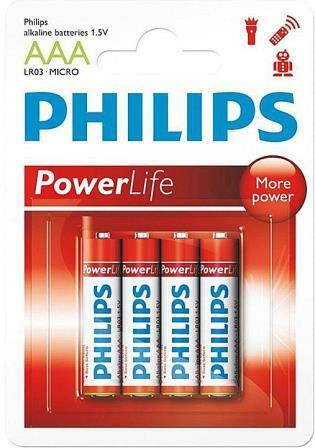 The Philips CR1620 is a 3V Lithium Minicell Battery also known as Coin Cell battery or Button Cell (70mAh) that is 16mm in Diameter and 2.0mm thick which is your perfect power partner for a reliable power source for low to medium drain devices. 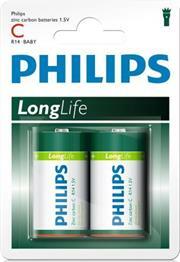 This battery can operate in temperatures between -20 and +70. 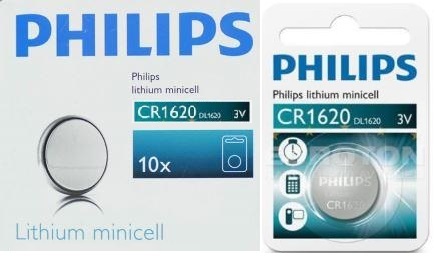 The Philips CR1620 Lithium Coin cell battery possesses remarkable features including long shelf life of up to 4 years, high energy density, flat discharge voltage, wide operating temperature and excellent storability with low self-discharge rate. 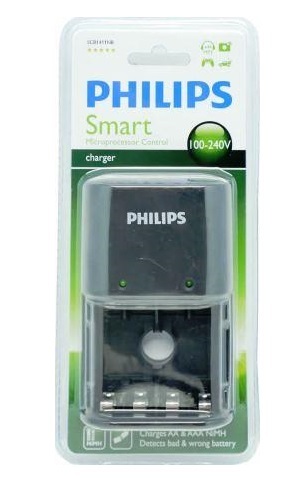 The Philips CR1620 is commonly used in car security (car alarm/keyfob batteries), organizer (backup battery for PDA such as Psion etc. 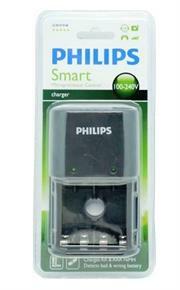 ), glucometer, camera, electric thermometer, calculator, computer equipment (memory backup battery), toys, accutron, communication equipment, electronic watches/clocks, card radios, data pack for video camera. 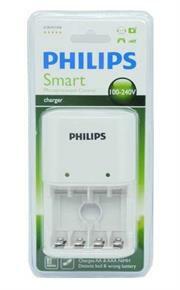 • Replaces: DL 1620, ECR1620, BR1620, 1620, CR1620, L08. 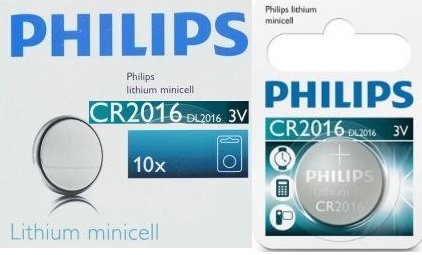 The Philips CR2016 is a 3V Lithium Minicells Battery also known as Coin Cell battery or Button Cell that is 20mm in diameter and 1.6mm thick. The CR2016 Battery is your perfect power partner in your everyday life that is used for a variety of electronics such as calculators, car equipment; FA Instruments; Electronic Thermometers; IC Cards/Tags, Remote Controls , Portable Games and many other electronics. The Philips CR2016 Lithium Coin cell battery possesses remarkable features including long shelf life of 10 years, high energy density, flat discharge voltage, wide operating temperature and excellent storability with low self-discharge rate. 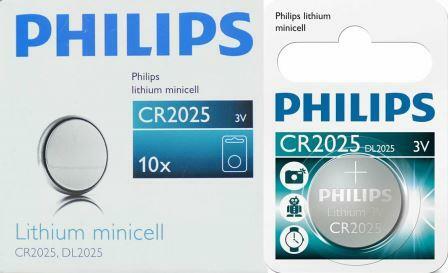 The Philips CR2025 is a 3V Lithium Minicells Battery also known as Coin Cell battery or Button Cell is 20mm in diameter and 2.5mm thick. 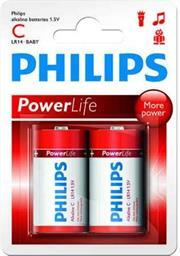 The CR2025 Battery is your perfect power partner in your everyday life that is used for a variety of electronics such as calculators, car equipment; FA Instruments; Electronic Thermometers; IC Cards/Tags, Remote Controls , Portable Games and many other electronics. 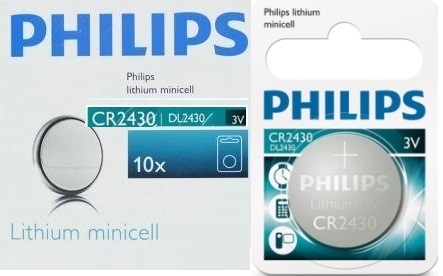 The Philips CR2025 Lithium Coin cell battery possesses remarkable features including long shelf life of 10 years, high energy density, flat discharge voltage, wide operating temperature and excellent storability with low self-discharge rate. 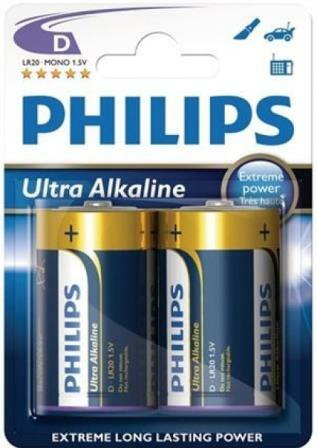 The Philips CR2430/00B is a 3V Lithium Minicells Battery also known as Lithium Coin cell battery or Button Cell that is 24mm Diameter and 3.0mm height (hence 2430). The CR2430 Minicell battery is your perfect power partner in your everyday life that is used for a variety of electronics such Watches, Computer Motherboards, Calculators, PDAs, electronic organizers, garage door openers, toys, games, door chimes, pet collars, LED lights, sporting goods, pedometers, calorie counters, stopwatches and host of medical devices and many other electronics. The Philips CR2430 Lithium Coin cell battery possesses remarkable features including long shelf life up to 5 years, high energy density, flat discharge voltage, wide operating temperature and excellent storability with low self-discharge rate. 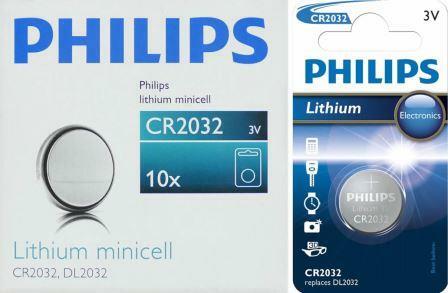 The Philips CR2032-01B is a 3V Lithium Minicell Battery also known as Coin Cell battery or Button Cell that is 20mm in diameter and 3.2mm thick. The CR2032 Battery is your perfect power partner in your everyday life as it commonly used in computers as a CMOS battery, calculators, remote controls, scientific instruments, wireless doorbells, watches, and other small devices. 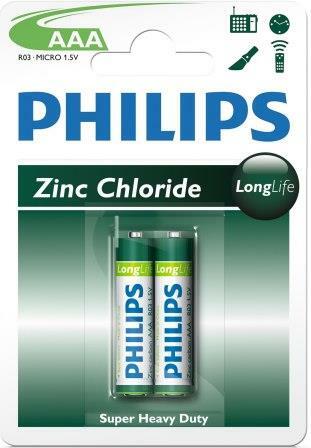 The Philips CR2032 Lithium Coin cell battery possesses remarkable features including long shelf life of 5 years, high energy density, flat discharge voltage, wide operating temperature and excellent storability with low self-discharge rate. 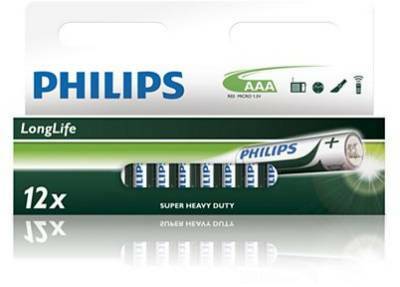 The Philips Ultra Alkaline Battery LR20E2B 2 x Type D / R20 Ultra Alkaline Battery is designed for ultra-high-drain devices that give you 30% more power than ordinary alkaline batteries and are perfect for your high-energy consuming devices. 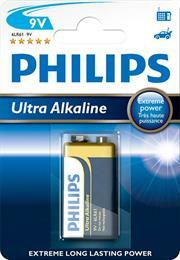 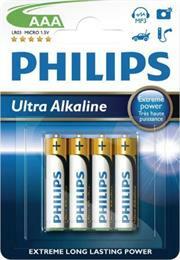 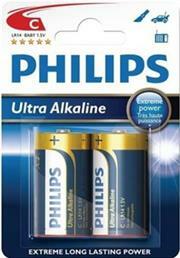 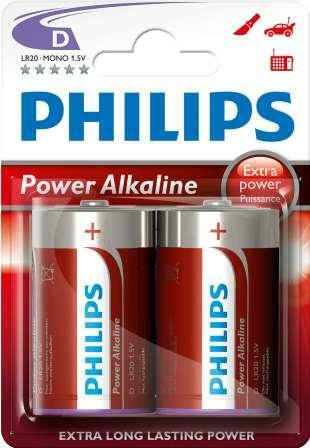 When you simply have to have the best, insist on Ultra Alkaline batteries. 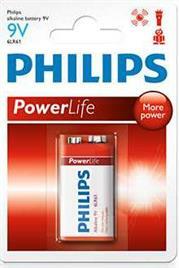 The Philips PowerLife Battery LR20P2B/97 2 x Type D / R20 Power Alkaline Battery is designed to provide reliable and long-lasting performance for devices such as alarms clocks , wall clocks, torches, alarms systems and remote controls. Safe to use, these Philips LR20P2B/97 Type D / R20 batteries are guaranteed free from harmful heavy metals such as Cadmium, Mercury and Lead and are six times better than the average Zinc Carbon battery to offer superior performance at great value. 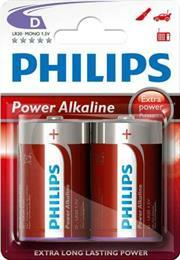 Philips PowerLife AAA / LR03 Power Alkaline Battery provides reliable and long-lasting performance for energy-hungry devices such as games console controllers and electronic games and toys. 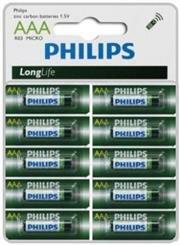 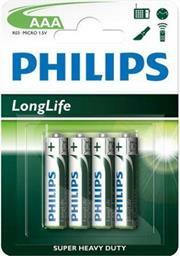 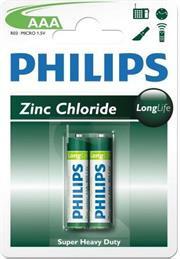 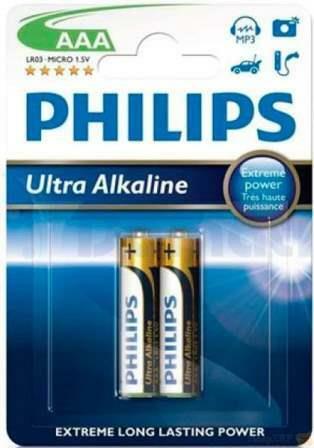 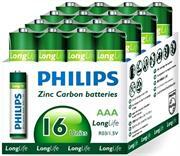 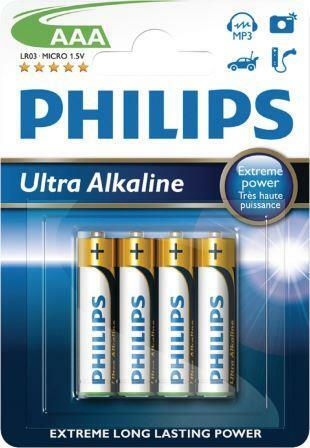 Safe to use, these Philips AAA batteries are guaranteed free from harmful heavy metals such as Cadmium, Mercury and Lead and are six times better than the average Zinc Carbon battery to offer superior performance at great value.